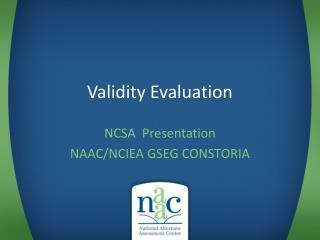 We argue that the purpose of the technical documentation is to provide data to support or refute the validity of the inferences from the alternate assessments at both the student and program level. 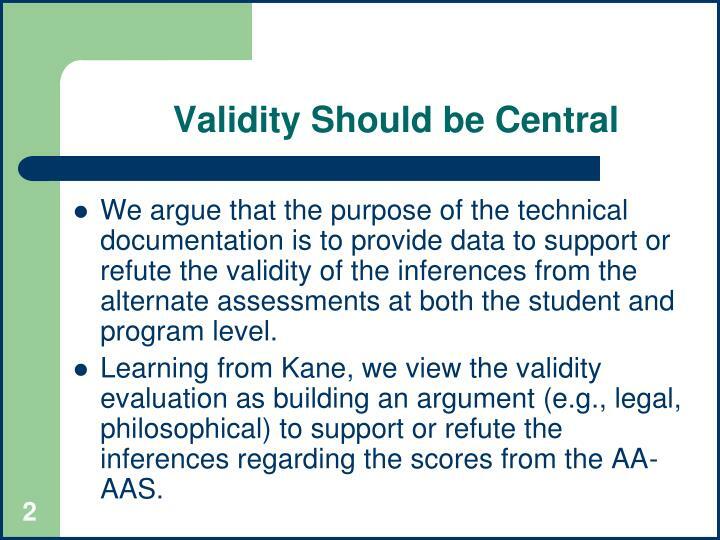 Learning from Kane, we view the validity evaluation as building an argument (e.g., legal, philosophical) to support or refute the inferences regarding the scores from the AA-AAS. 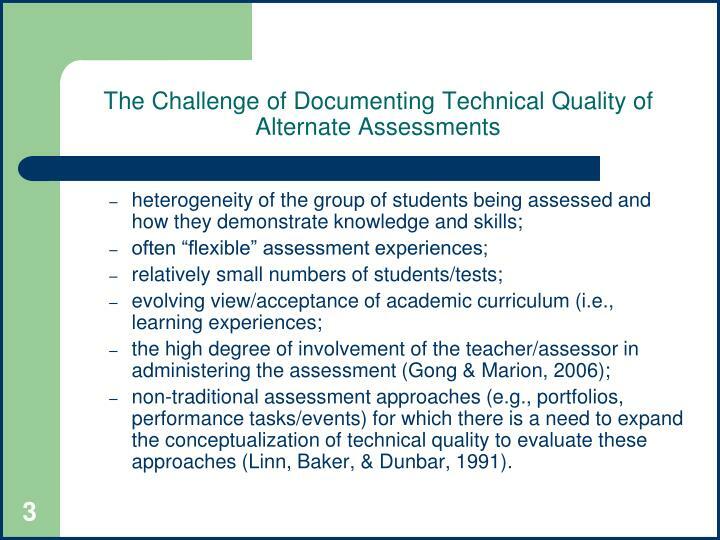 non-traditional assessment approaches (e.g., portfolios, performance tasks/events) for which there is a need to expand the conceptualization of technical quality to evaluate these approaches (Linn, Baker, & Dunbar, 1991). Linn, et al. (1991) pointed out that we already (15 years ago!) 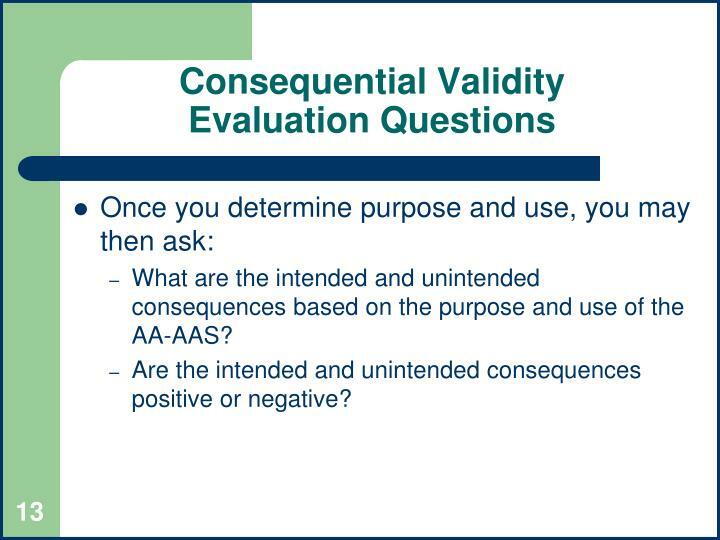 have the theoretical tools for expanding validity investigations, but in practice validity is usually viewed too narrowly. 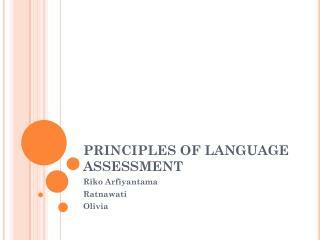 Content frameworks are described, and specifications for the selection of items are provided for standardized achievement tests. Correlations with other tests and sometimes with teacher assessments of achievement may also be presented. 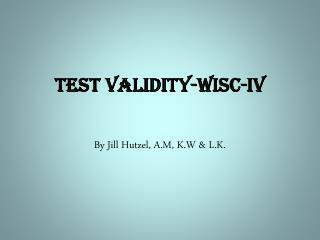 Such information is relevant to judgments of validity but does not do justice to the concept (p. 16). 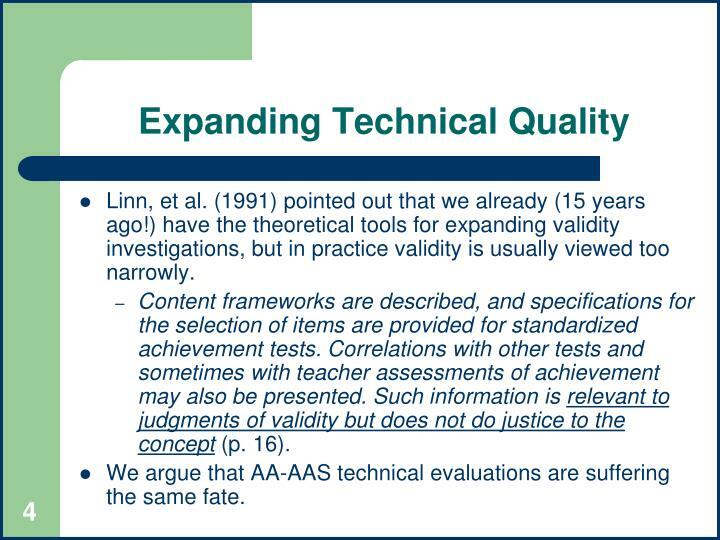 We argue that AA-AAS technical evaluations are suffering the same fate. 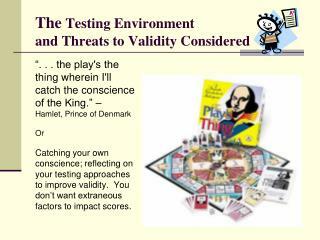 What does the test do in the system other than what it claims, for good or bad? 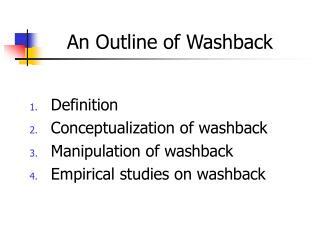 (Shepard, 1993, p. 429). 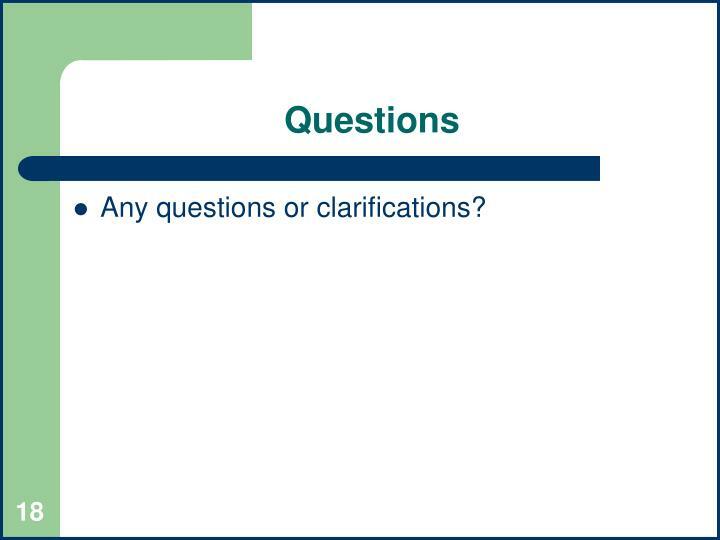 The questions are directed to concerns about the construct, relevance, interpretation, and social consequences, respectively. We believe that this approach for prioritizing our questions is useful. 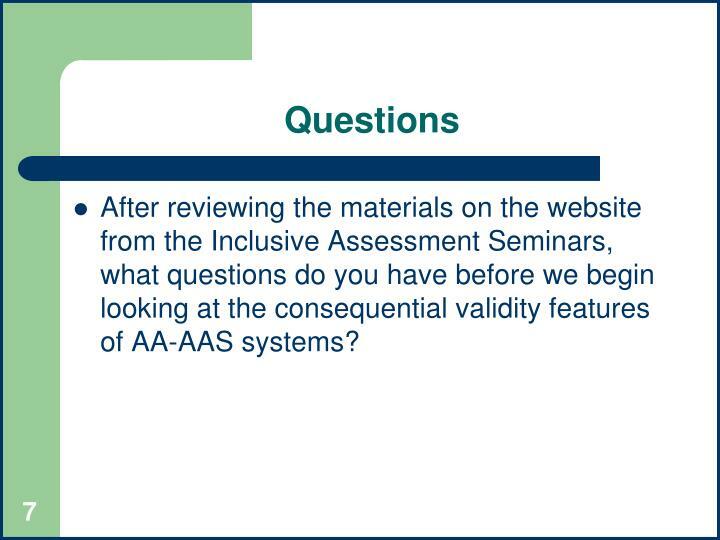 After reviewing the materials on the website from the Inclusive Assessment Seminars, what questions do you have before we begin looking at the consequential validity features of AA-AAS systems? 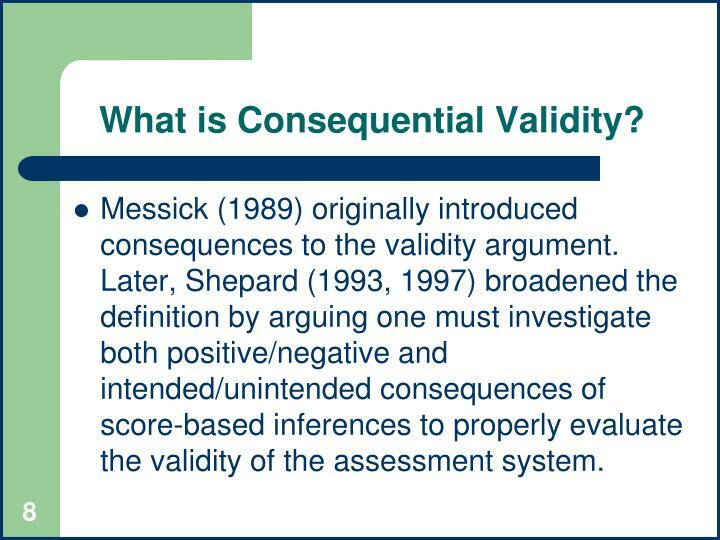 Messick (1989) originally introduced consequences to the validity argument. 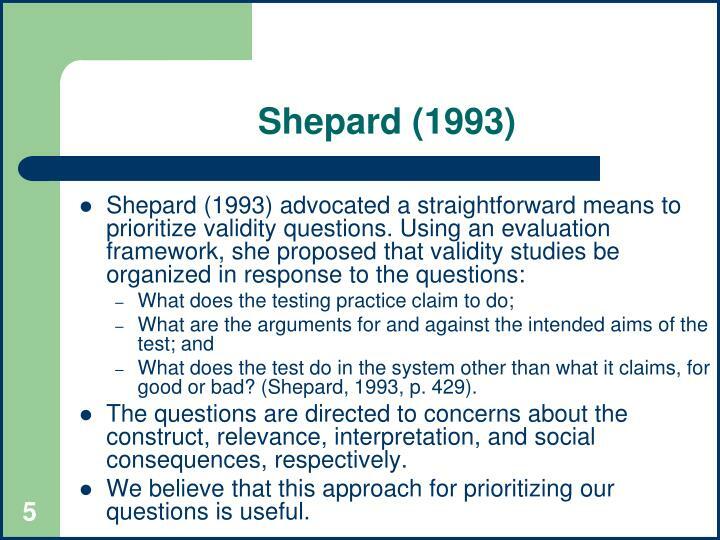 Later, Shepard (1993, 1997) broadened the definition by arguing one must investigate both positive/negative and intended/unintended consequences of score-based inferences to properly evaluate the validity of the assessment system. 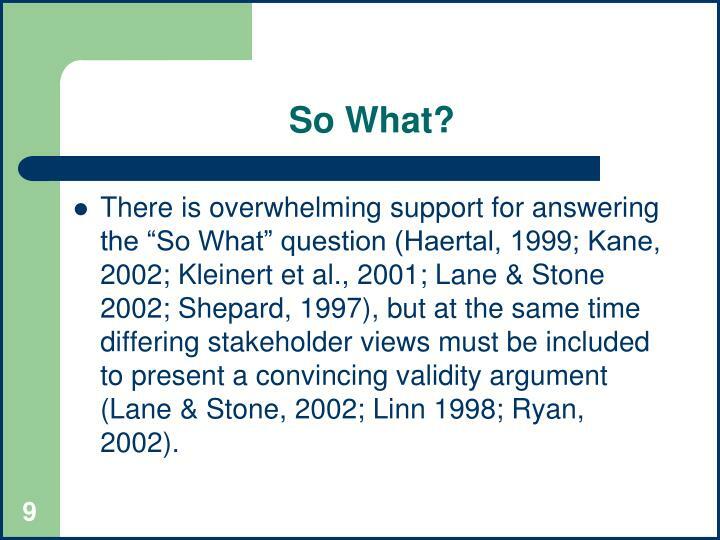 There is overwhelming support for answering the “So What” question (Haertal, 1999; Kane, 2002; Kleinert et al., 2001; Lane & Stone 2002; Shepard, 1997), but at the same time differing stakeholder views must be included to present a convincing validity argument (Lane & Stone, 2002; Linn 1998; Ryan, 2002). 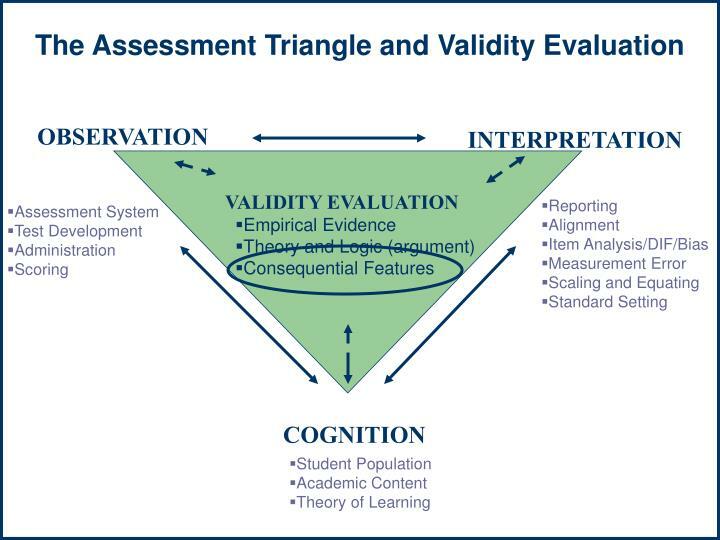 Student, teacher, administrator, and public awareness and beliefs about the assessment, criteria for judging performance, and the use of assessment results. Inappropriate use of test scores by administrators. What is the purposeof the AA-AAS? 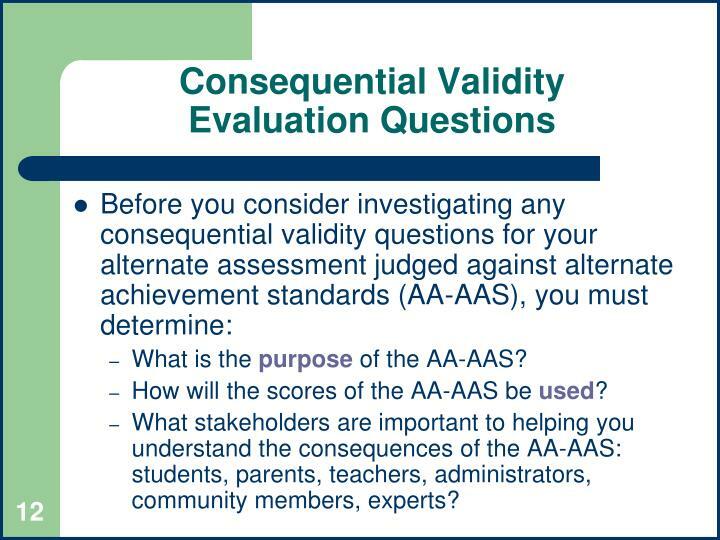 How will the scores of the AA-AAS be used? 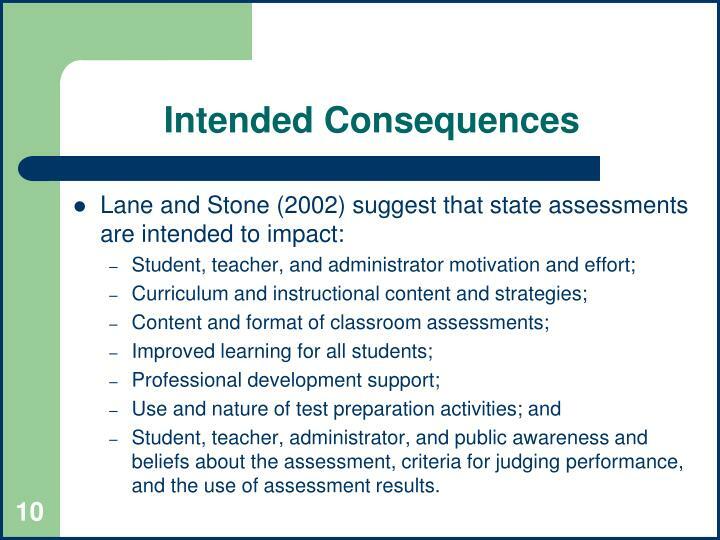 What stakeholders are important to helping you understand the consequences of the AA-AAS: students, parents, teachers, administrators, community members, experts? 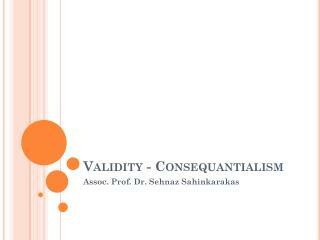 What are the intended and unintended consequences based on the purpose and use of the AA-AAS? 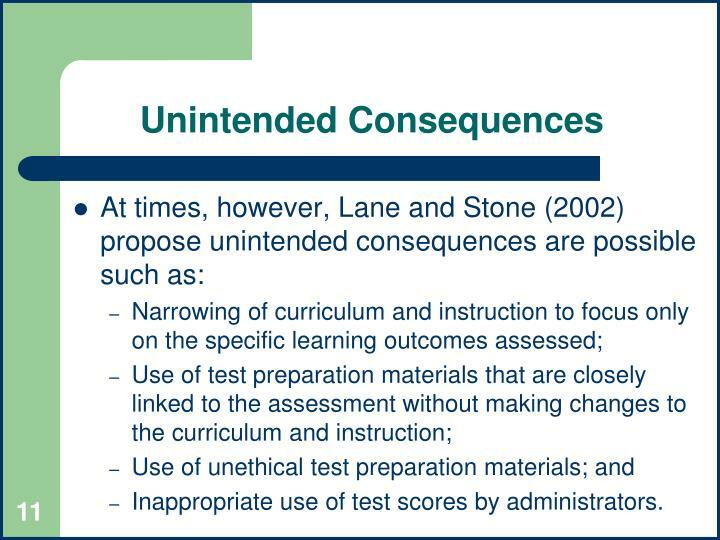 Are the intended and unintended consequences positive or negative? What benefits to students have accrued from the participation in AA-AAS? 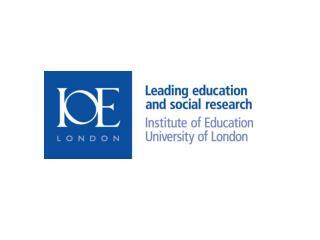 What is the extent to which students have accessed the general education curriculum? 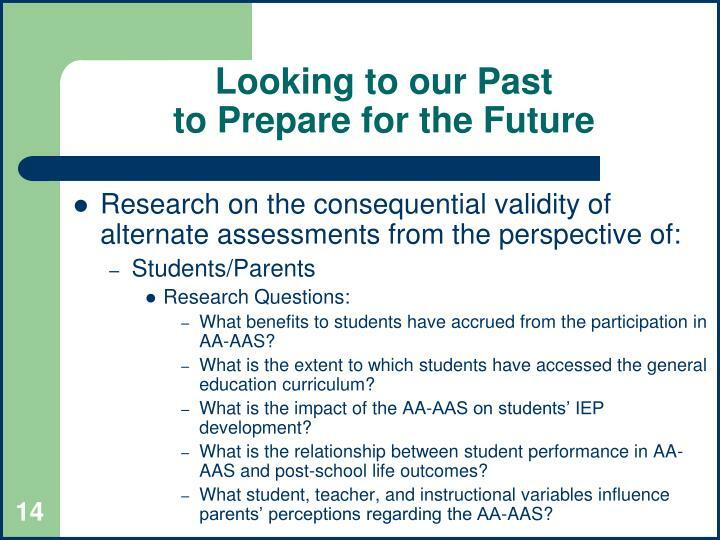 What is the impact of the AA-AAS on students’ IEP development? What is the relationship between student performance in AA-AAS and post-school life outcomes? What student, teacher, and instructional variables influence parents’ perceptions regarding the AA-AAS? What benefits to teachers have accrued from the participation of students in the AA-AAS? 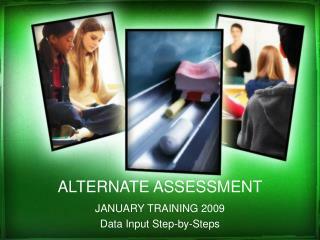 What is the extent to which alternate assessments are a part of daily classroom routine? 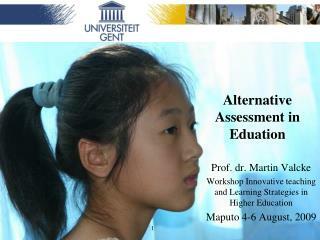 What is the relationship between alternate assessment scores and the amount of time spent working on the assessment? 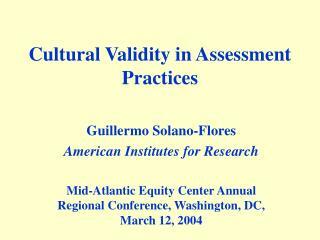 To what extent do teacher and instructional variables predict alternate assessment scores? 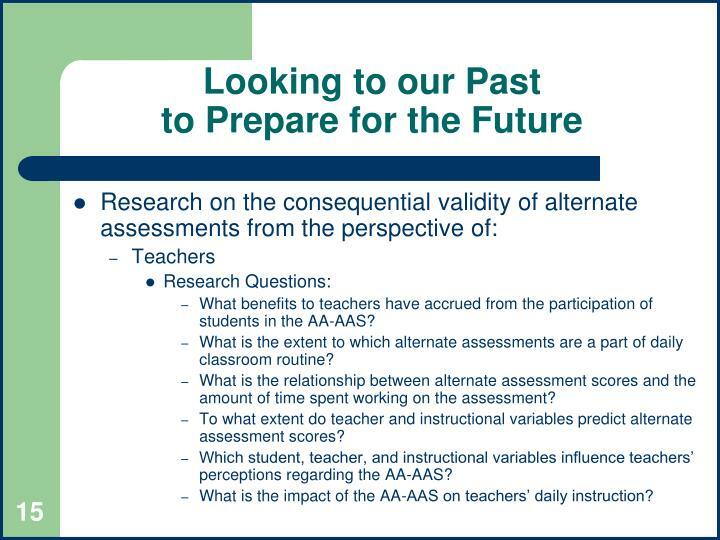 Which student, teacher, and instructional variables influence teachers’ perceptions regarding the AA-AAS? What is the impact of the AA-AAS on teachers’ daily instruction? To what extent are students included in the accountability process? 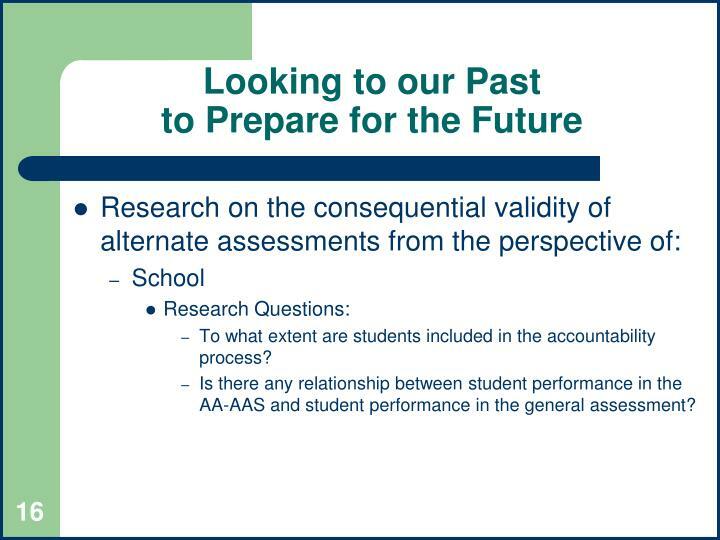 Is there any relationship between student performance in the AA-AAS and student performance in the general assessment? There is no way that a state can take on investigating all these research studies at once. 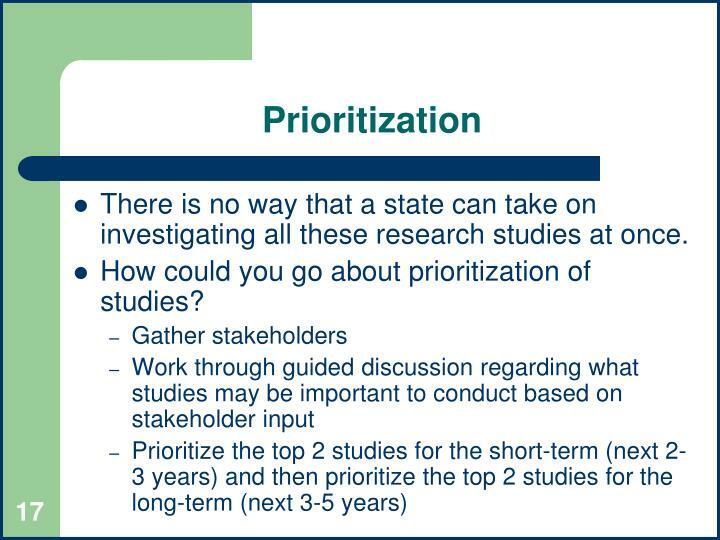 How could you go about prioritization of studies? 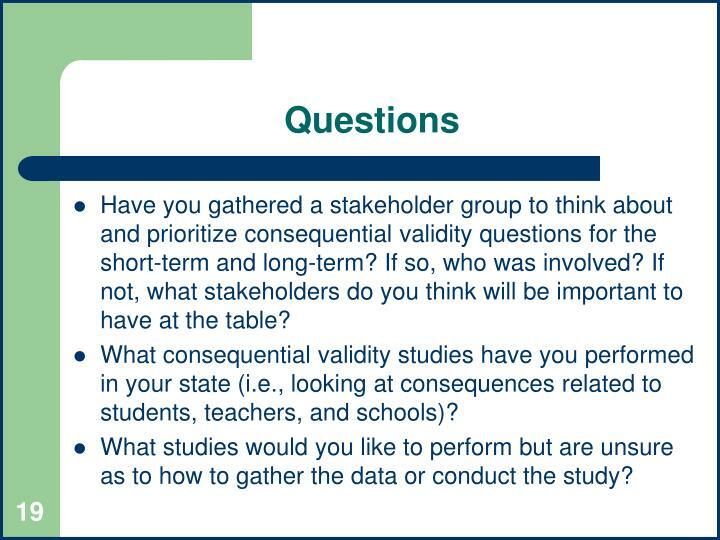 Have you gathered a stakeholder group to think about and prioritize consequential validity questions for the short-term and long-term? If so, who was involved? If not, what stakeholders do you think will be important to have at the table? 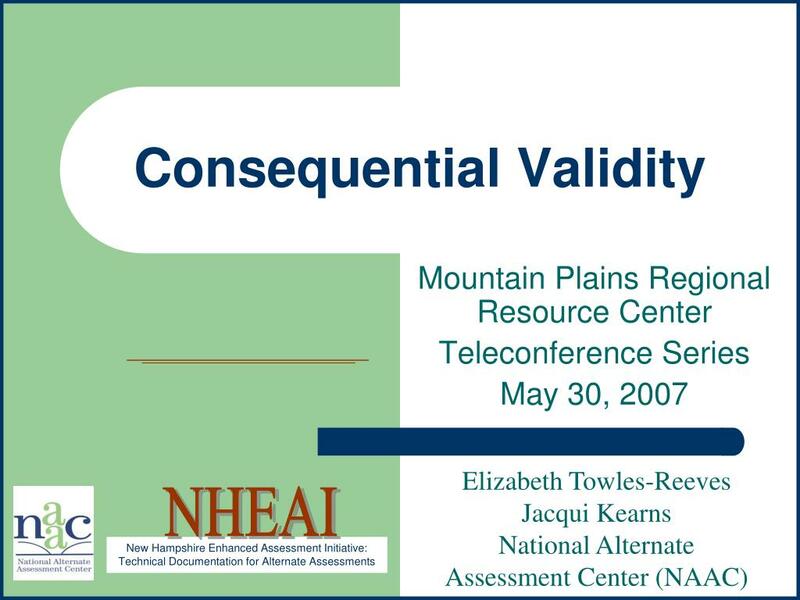 What consequential validity studies have you performed in your state (i.e., looking at consequences related to students, teachers, and schools)? 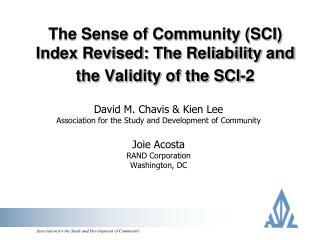 What studies would you like to perform but are unsure as to how to gather the data or conduct the study? 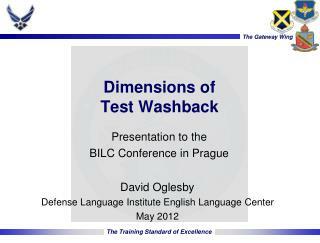 Brief Assessment Center History -. 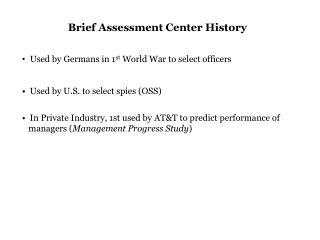 used by germans in 1 st world war to select officers used by u.s. to select spies (oss) in private industry, 1st used by at&amp;t to predict performance of managers ( management progress study ). 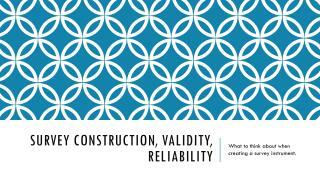 Reliability & Validity -Reliability &amp; validity. 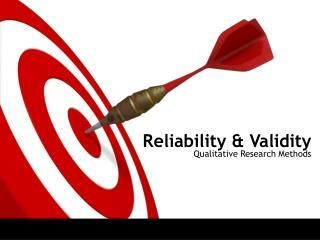 qualitative research methods. 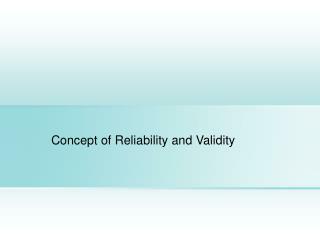 reliability &amp; validity. 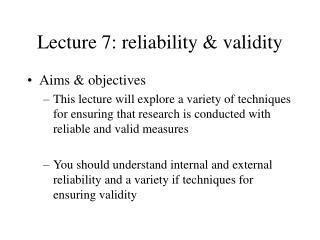 qual vs.
Chapter 4. 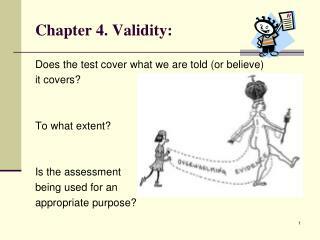 Validity: -Does the test cover what we are told (or believe) it covers? to what extent? 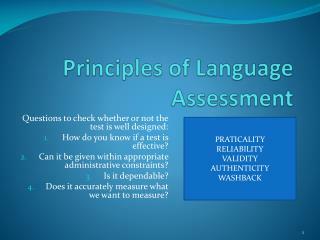 is the assessment being used for an appropriate purpose? 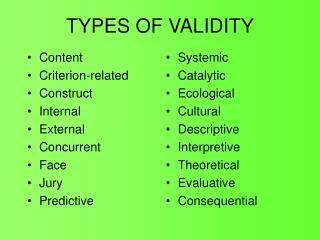 validity topics: definition (usual and refined) categories of validity evidence a.